Vomit Spell – Demo is out! Vomit Spell is a newish act from Germany that combines both the ferocity and irreverence of grindcore and the raw approach of death metal. The result is everything you have wanted combined with an aesthetic that is less innovative than it is tested and true. Listen/order Continue reading Vomit Spell – Demo is out! Split SkullxPiercer / Sedem Minut Strachu! Continue reading Split SkullxPiercer / Sedem Minut Strachu! 2 new releases from Grindfather prod! Sulfuric Cautery / Disease / Bigorexia – 3-way split tape Cannibalized – Left To Fester moreinfo at grindfatherprod.com Continue reading 2 new releases from Grindfather prod! First look at Expurgo / Gore split! Catafila Production is proud to present the first release of 2019, a very 100 limited pro-tape, from 2 of the most aggressive acts of the Brazilian grind gore! Continue reading First look at Expurgo / Gore split! This tape will be released by Tarung Recs N Distribution and e.r.a Records Continue reading News from Forged! Grind Core Italy & Holland! Ulimited edition 80 copy only! More info at Extreme Terror Production! Continue reading Split Tsubo / Matka Teresa! Anarchus “Discography 1990-1996” is out! Extreme Terror Production is proud to present discography of legendary Mexican grind squads of all times! 80 minutes of raw madness, pro-printed tapes! More info at Extreme Terror Production fb page. Continue reading Anarchus “Discography 1990-1996” is out! Continue reading Split tape Tsubo / Matka Teresa! Split tape Warfuck / Into Sickness is out! Grab a copy at LIXIVIAT Records! Continue reading Split tape Warfuck / Into Sickness is out! Split tape Nasty Face / Fetal Deformity is out! More info at Choothar Tapes Continue reading Split tape Nasty Face / Fetal Deformity is out! Nasty news from Headsplit Records! Continue reading Nasty news from Headsplit Records! Out now Disturbance Project / Convulsions Out later Disrotted – Cryogenics more info at www.grindfatherprod.com Continue reading News from Grindfather prod! Raw gore from Russia/Japan for really sick freaks only! More info at Verminous Recordings! Continue reading Splatter Autopsy Protocols tapes! Extinct – A Piece of Extinction! New Ep by german Powerviolence Punks extinct limited to 66 cassettes. B- Side includes a full live set recorded and mastert by Wunderbar Records at Gerber 3, Weimar at 14th August 2018. You can listen and order this tape HERE! Continue reading Extinct – A Piece of Extinction! Continue reading Big news from Anatomical Productions! More info / pre-ordering HERE! Continue reading Debut tape from Whammer will be out soon at Bloody Scythe Records! Debut release from Vomit Spell is ready! Meshing together the disgusting sounds of death metal and grindcore, Vomit Spell offer up a sickening and vile seven track demo. With viscera soaked riffs and ever cranium caving drumming along with rabid and ever bloodied vocals, Vomit Spell gnash at your flesh from beginning to end. There are no gimmicks and certainly no fluff as what you get is seven straight tracks of brutalizing metal. With no reprieve, no pause and no room to breathe in the stagnant vile air, Vomit Spell submerge you in grimy and crusted death grind from beginning to end. This tape released by Lower Class … Continue reading Debut release from Vomit Spell is ready! Dahmer – The Studio Sessions Discography! Finally available for the first time on vinyl and cassette ! Dahmer plays some crushing in-your-face crusty grindcore with some pitch shifted vocals accentuated with pissed off vocals!! 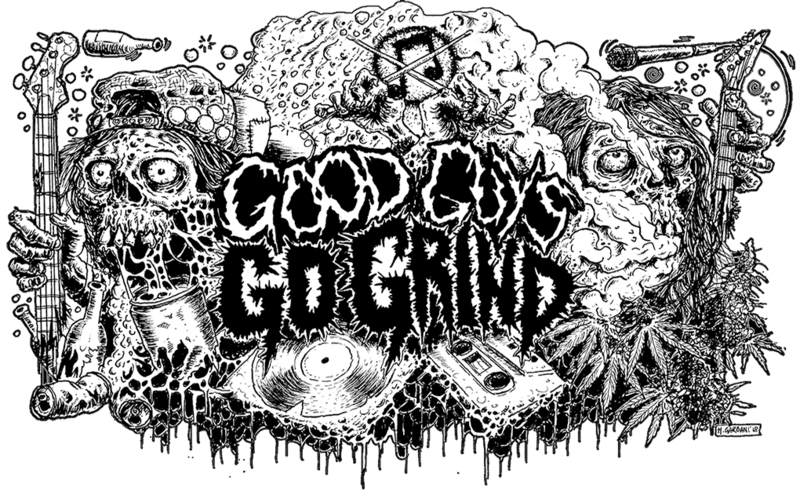 Dahmer is concidered by many as THE BAND as far as Canadian’s grindcore scene ever withness. (Include gatefold cover and insert). Order your copy HERE! Continue reading Dahmer – The Studio Sessions Discography!